During the months of April, and continuing into May 2014, Mrs. Schwab, Guidance Counselor, is teaching positive sportsmanship skills, as well as Second Step curriculum lessons with Mrs. Arpide, to her 2nd Grade class. Second Step is the research and evidenced based bullying prevention curriculum that was purchased by the school district, to teach social skills, empathy skills, and social problem solving skills to students. 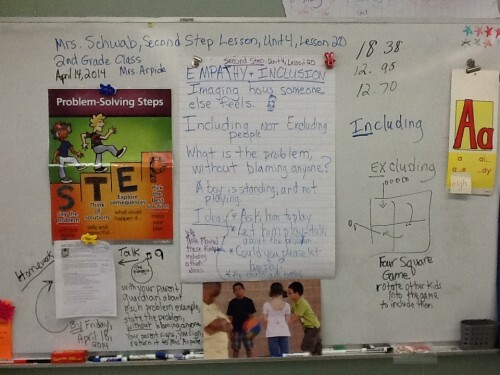 Mrs. Arpide’s students have participated in class discussions and role plays about these skills. They look forward to the lessons, and the students are using their positive social skills at recess. During one role play, the students practiced good sportsmanship by doing “line up” gentle high fives, pretending that a game at recess had just ended. During another role play, students practiced how to include a student who is standing off to the side of a Four Square Game at recess. Great work Mrs. Arpide’s class! 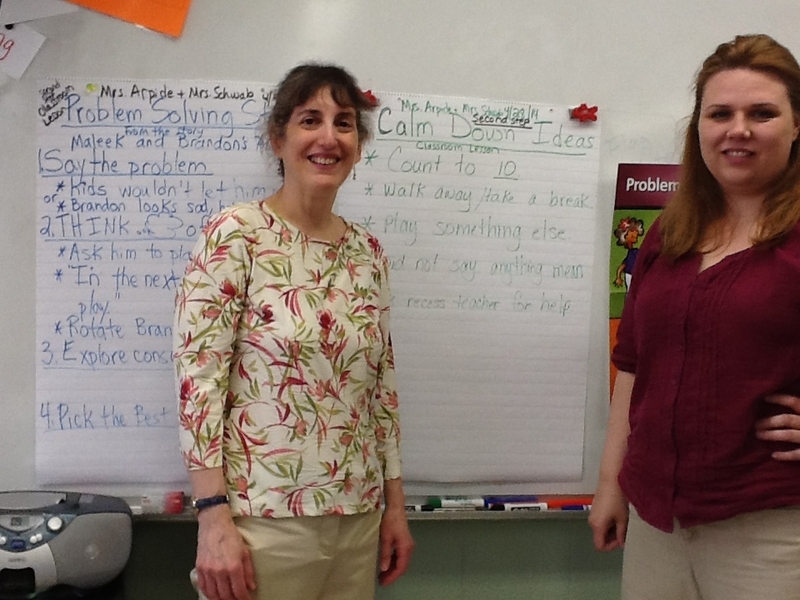 Mrs. Schwab and Mrs. Arpide taught a Second Step lesson to the class on Including peers vs. Excluding peers. They reviewed the Respect Behavior Rubric with the class, created by Mrs. Ellis, Principal. The students performed role plays in class on how to include peers in games at recess.